Every year, the Northern Ohio Apartment Association hosts a golf outing for its vendors and primary members. Commercial laundry equipment supplier Advantage Equipment partnered with Plunkett’s Pest Control to provide a unique golfer experience at hole #3. 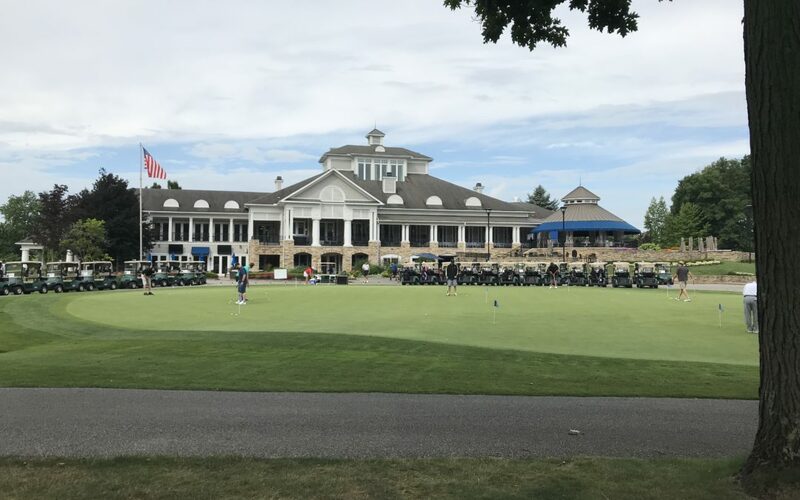 Akron, OH – Advantage Equipment, Inc. (Advantage) recently partnered with the Northern Apartment Association (NOAA) for their 24th annual golf outing. At this annual scramble, apartment professionals and vendors had the opportunity to work together in order to place first for a prize. 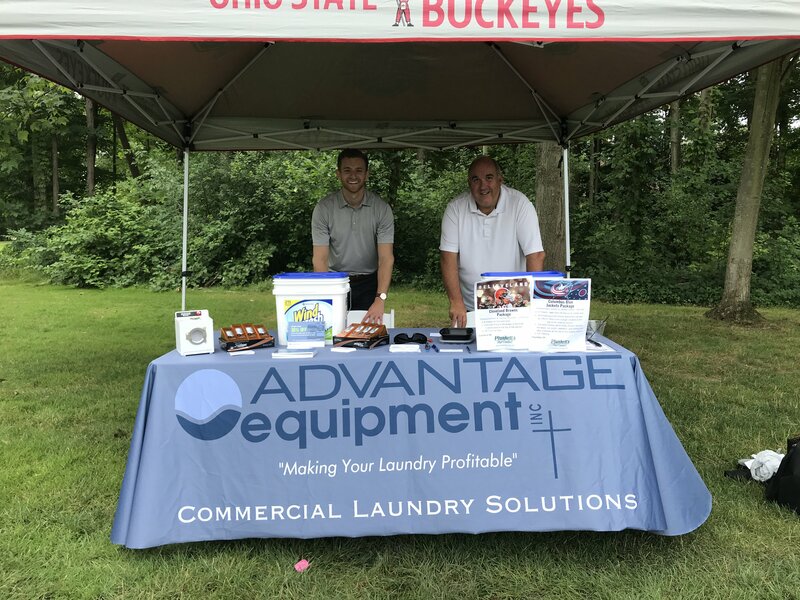 Advantage Equipment’s director of marketing and multi-housing laundry specialist, Eric Vlahos, welcomed golfers to hole #3 with Kent Manor of Plunkett’s Pest Control. At the hole, golfers entered to win Titlest Pro V1 golf balls, and Cleveland Browns or Columbus Blue Jacket tickets for a future game. As a President’s Circle member, Advantage enjoys exclusive board member meetings, networking events, and sponsorship opportunities. In addition to his active role in the apartment association, Eric is also on track to achieve his Certified Apartment Supplier (CAS) certification. The CAS certification is a nationally recognized certificate put together by the National Apartment Association (NAA). Eric was required to attend numerous classes and pass a final certification exam. In addition, he’ll also need to stay up to date with classes throughout the year to keep his title. The next event for the Northern Ohio Apartment Association will be the Key Awards Gala on September 13th at the Marriott Grand Ballroom – Key Center in Cleveland, Ohio. Following that, there will be a Associates vs. Primary Member Softball game on September 21 at the Lake Erie Crushers stadium.